Many people, especially retirees, may have heard all about reverse mortgages and how it can help them when they need it. They would want to know more about it and wonder how it works. Here is the gist of what a reverse mortgage is for interested retirees. Basically, a reverse mortgage is a type of loan where a homeowner borrows against the equity of the home without the need to pay for the loan. The arrangement would be is that the property is turned over to the lender once the homeowner passes on. Reverse mortgages are offered to retirees or those above 62 years old who are homeowners and are looking for additional sources of income aside from their retirement fund. In the case of a reverse mortgage, the lender offers payments to the borrower instead of the other way around in a typical mortgage loan, hence the term “reverse”. The payment is based on the current home equity and appraised value of the home. A reverse mortgage is beneficial to retirees and senior homeowners who avail of the loan. One benefit is that they do not have to pay the loan back as long as they continue to live in the home. The reverse mortgage is only repaid when they pass on, at which time the lender assumes the right to the home to sell it and recover the loan payments extended. The reverse mortgage can also be repaid when the retiree homeowner decides to sell the home. 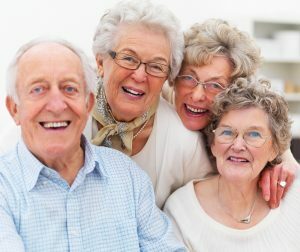 A reverse mortgage provides the elderly with a way to take advantage of their home equity as a possible source of income. At their age, retirees may require additional income to address certain health conditions that they can no longer afford with their current pensions. A lot of seniors may have properties but not the cash that they really need. A reverse mortgage on their home helps give them the means to obtain additional money without the burden of paying for it while they still live in it. A reverse mortgage is an invaluable option for cash-strapped retirees to help supplement a dwindling retirement income.